This afternoon the new iPhone 5 has been unveiled, with a long slim design, 16:9 screen & a new smaller docking connector. The update of the iPhone to use 4G LTE is a welcome addition in this data hungry mobile world. The 16:9 screen aspect ratio will be great for viewing HD content without the black bars. 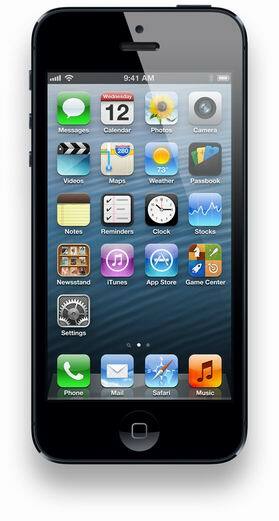 This elongated screen has also allowed an extra row of icons to be added compared with the 4 rows on the iPhone 4. Most components have had updates, including a faster A6 CPU with more graphics power, faster WiFi, main camera is 8MP with an updated software set. The change in docking connector is going to be the most disruptive change we feel, with the large number of iPhone compatible accessories supporting the older 30 pin connector, however it's long over due when you look at MicroUSB plugs. Apple PR Statement " A remarkably slim design that still makes room for a larger display and a faster chip. Ultrafast wireless that doesn’t sacrifice battery life. And all-new headphones designed to sound great and fit comfortably. So much went into this iPhone. So you could get even more out of it." 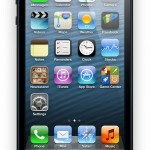 Pricing on the iPhone 4S has been dropped to $99 with a 2 year phone contract in the USA.